Since being formed in Ireland in 2006, AvaTrade has made great inroads into the trading industry. Established by financial professionals it offers the opportunity to trade in currency pairs and also other assets via CFD’s. The range of available instruments and markets, and high quality of the trading platforms make them a popular choice. There are 50 currency pairs to trade, along with other assets including indices, cryptocurrencies and stocks. Offering services to both retail and institutional traders, AvaTrade combines high-level features with an easy to use platform. Giving traders in around 150 countries both a desktop and mobile trading option, it is fast becoming one of the major brokers around. The functionality of the platform is a big plus point for many. From new traders to the more experienced, the choice of powerful charting software is highly attractive. Automated trading is also available; with programmers given access to API functionality; social traders access to the ZuluTrade service and copy traders the DupliTrade service. AvaTrade has built much of its success on its offering of over 50 currency pairs. In doing so it gives traders access to: major, minor and exotic currency markets and also allows trading to be done via the spot market, or in CFD form. Investors will appreciate the ability to trade other assets on CFD: major cryptocurrencies like Bitcoin, as well as bonds, indices, commodities and over 60 major stocks. At AvaTrade, no separate commission charges are applied to trades. Whilst this does mean increased transparency, the bid-offer spreads can at first glance look wider than those of their peer group. One point to note is that some products have a fixed spread and so are not affected either way by market liquidity. In terms of the non-trading fees above, the main takeaway is the admin fees charged by this broker for non-active accounts. While this is by no means unusual, they are fairly steep and any trader who signs up needs to be aware. The quality and variety of platforms offered by AvaTrade is impressive and includes the market recognized MT4 and their proprietary offering AvaOptions. Of course, many experienced traders will already be familiar with MT4 software and the powerful features that come with it. Straightforward to use, it places a whole host of basic and advanced charting features at traders’ fingertips. From technical indicators such as: RSI’s and MACD’s to multi-market trading and sub-accounts if needed. 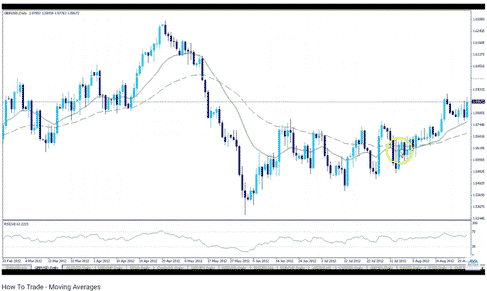 MT4 really does give everything needed to begin trading effectively and the scope to move on to more advanced strategies. The impressive AvaOptions platform is unique to AvaTrade and can be used instead of, or alongside MT4. Where AvaTrade have been clever is to build in features that MT4 does not offer such as pips graphics and a profit calculator. This means there is a real choice to make between the two platforms, depending on which a trader may prefer. Both platforms offer easy to read, up to the minute charts with all the expected choice in terms of time-frames and display functionality. In terms of customer service AvaTrade provides a decent range of ways for traders to get in touch. These range from an online contact form, to live chat, and direct telephone numbers to one of their 30 plus offices worldwide. The customer support teams at AvaTrade are: multi-lingual, knowledgeable, friendly and quick to respond to queries. The major drawback is that customer support is only available during the working week (24/5). Compared to other brokers who offer 24/7 cover, this is something of a let-down. It could be that the confidence AvaTrade have in their product is why they don’t offer 24/7 cover. After all, since it started in 2006 it has won 22 awards, the most recent being the 2018 FXEmpire award for ‘Best Trading Experience’ prize. AvaTrade ranks highly in terms of the educational and research products on offer. The Sharptrader tool contains a wealth of handy guides and instruments designed to help research and learning and allow traders to improve their returns. The more experienced trader will love the Sharptrader market news and free signals which give up to date information on general trends and also the specific assets in their portfolio. New traders and those looking to develop their trading strategies can take advantage of the high level analysis software that will put them in a good position to start trading. Of particular note are the free live webinars offered to help novice traders get started. The Sharptrader tool will prove useful for all traders and gives a real boost to the user experience. Its functionality is particularly supportive of new traders but even the most experienced will benefit from what is a reliable central source of research and analysis. So 3 months go by and I have been using other accounts to trade so I made only 1 trade on this account because I forgot about it. AvaTrade is a high end, one stop shop with a whole range of execution and support features. It is set out to cater to a whole range of traders, of varying experience and styles. Setting up an account is as straight forward as with any other broker and once you go through into the main site you soon realize there is a lot on offer, and a lot to explore. An added incentive is that AvaTrade compares particularly well to other brokers in terms of trade offers and user bonuses. On offer is $400 for every $1000 deposited (up to $16,000) which can soon add up. In addition to this, they also offer an attractive referral system which sees traders get $400 for each friend they refer who opens an account. AvaTrade offers Demo Accounts for traders to use. While this enables you to practice trading without risking real money it can only be used for 30 days which is quite limiting. Traders using the Demo account need to ensure they have their own procedures in place if they want to ensure data and analysis carried out in that environment is not lost when the account expires. A minor disappointment is that Demo accounts are not supported by all areas of the site, including, for example, ZuluTrade. Considering the extensive range of products and services on offer it might not be too surprising to find a few areas of the site only open to regular account holders. The AvaTrade website itself is well-laid out, clean looking and simple to navigate around. The core offering is based around features that both new and experienced traders rate highly: a high quality platform, an extensive range of tradeable assets and quality access to the markets. This is appealing enough; but the not inconsiderable bonuses on offer provide a strong incentive for traders to try the AvaTrade service. Being a market maker grade of broker, AvaTrade account holders are given direct access to the relevant markets. 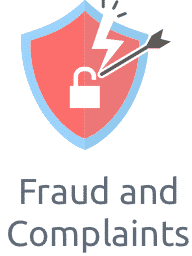 This is combined with a competitive fee structure and an industry leading commitment to online security. Bid-offer spreads on prices can appear quite wide, particularly during times of increased market volatility. This is a result of the platforms transparent pricing policy and at least helps traders remain aware of the costs involved and at least with this particular platform, get a feel for what they really are. Mobile trading is increasingly important and AvaTrade scores well in this area. It offers an effective mobile trading app called AvaTradeGO for both iOS and Android which gives the same smooth functionality and choice of charting software as the desktop site. This is not something to be taken for granted as some competitors struggle to offer such a seamless transition from one to the other. AvaTrade have put a lot of effort into developing their outstanding mobile app and it shows when used. The ability to use MT4 on a mobile device being is a big plus point. There is customer support on hand in real-time and in 12 languages for any issues that arise. A neat touch is the app also gives information on current market trends and what other AvaTrade users are doing. This saves time on researching the market personally and makes mobile trading more convenient. A clear advantage of using the AvaTrade platform is the access to a wide variety of high end auto-trading tools and services. Some of the add-ons that are free to account holders would cost a significant amount if bought as stand-alone items. The most well-known option for many traders in this regard will be the Expert Advisors tool found in the MT4 software package. For any newcomers, this feature in MT4 can be pre-set to execute trades automatically in accordance with set criteria. Account holders looking to build their own trading models can take a slightly different route by accessing AvaTrade’s API. Offering this professional grade service is a really strong plus point for those looking to develop systematic trading programs from scratch. Hardly any other brokers in the market offer this and it is another stand out plus point of the AvaTrade platform. 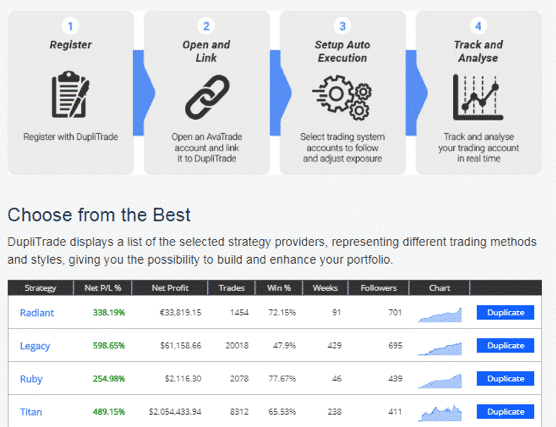 For those looking to adopt a more hands off approach to trading, then there is the popular ZuluTrade system which offers social trading and DupliTrade which offers copy trading. AvaTrade scores well in terms of counterparty-risk and regulatory-risk and elements of its organizational structure support the argument that it can be considered a trust-worthy and secure broker to trade with. When ‘kicking the tyres’ account holders can take some comfort from the fact that it is actually a subsidiary of a holding company which has a market capitalization of approximately $17 billion. In addition, client funds are segregated from the broker’s in a separate account. 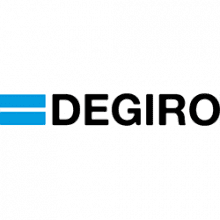 A fully regulated multi-national company with its base in Dublin, it comes under EU compliance and regulatory laws, such as those relating to money-laundering and MiFID. It is also fully regulated around the world from ASIC in Australia to the FSB in South Africa and the FSA/FFAJ in Japan. 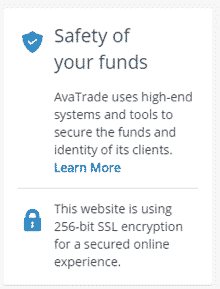 Effective management of the risks associated with cyber-security is also something traders should consider when choosing brokers. . AvaTrade promotes itself as taking every step it can to protect your account and personal details and the website is encrypted with SSL technology. Whilst recent history of the financial markets confirms nothing should be taken for granted, in terms of offering security to account holders AvaTrade ranks very highly. If traders are looking for a well-established broker which is fully regulated and with a clutch of industry awards to boot, then this is a great choice. Not only is the AvaTrade website itself enjoyable to use and simple to navigate but the charting platforms to choose from are superb. When you add in the bonuses on offer to traders here too, there is a lot to make it appealing. The auto-trading products also make it a good choice for any trader out there who wants to adopt a more program based approach. As a market maker style broker, you can rest easy that once instructed your orders are placed directly with the market. Of course, there are some issues that this AvaTrade broker review has thrown up. With customer support not available at the weekends, some traders may get frustrated with having to wait for help. There are also some minor issues around the accounts themselves to bear in mind from the high fee for inactive accounts, demo accounts only being open for 30 days and no clients from the USA being accepted. On the whole, the slight minor points do not detract significantly from all the positive aspects associated with using this broker. An established broker that has set out to offer new and experienced traders a means of accessing the financial markets using top end trading tools in a secure environment. Particularly strong in terms of trading currencies, here at WeCompareBrokers, we think this is a professional and user-friendly broker for every type of trader to use.